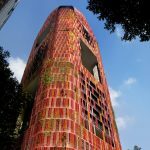 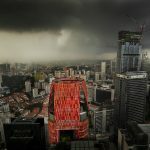 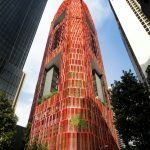 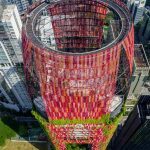 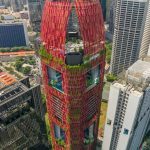 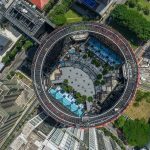 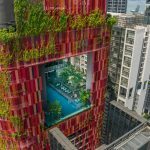 According to the design for the tower-hotel Oasia Downtown planned by WOHA in the Central Business District in Singapore, the façades were conceived as a real landscape plan. 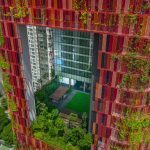 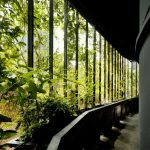 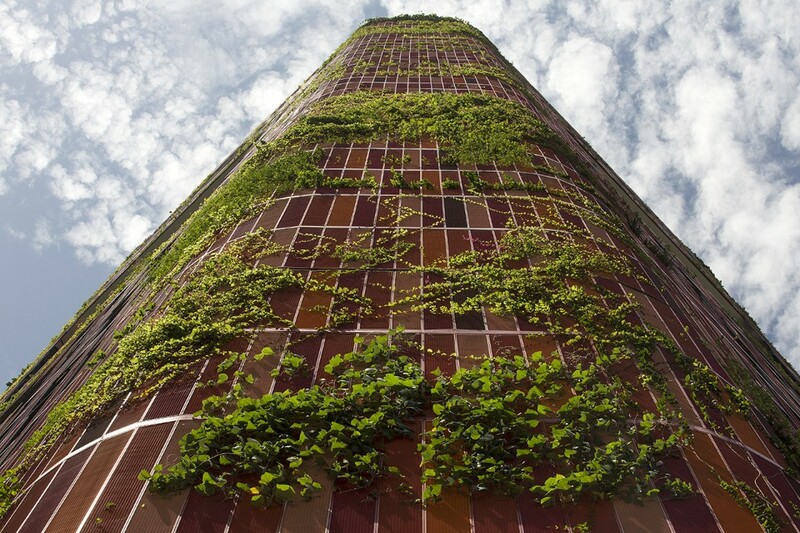 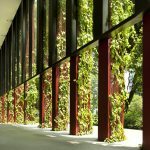 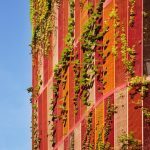 The red wire netting, enveloping the building, is the element which consents the proliferation of a luxuriant vegetation. 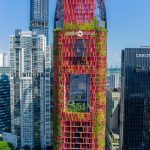 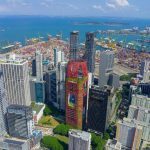 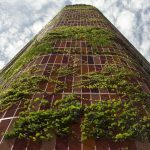 The building won the Best Tall Building Worldwide 2018 prize during the 16th edition of the Annual Council on Tall Buildings and Urban Habitat (CTBUH).